So between having had a filling fall out that in turn caused one of my molars to crack/part of the tooth broke off along with the fact I am getting sick (a lot of people around me have flu like issues right now) I've had better days. So unfortunately I wasn't able to swatch things today and do a review as I'm just not feeling good at all. For now I will leave you with a small sneak peek of a a package I got a month or two back. 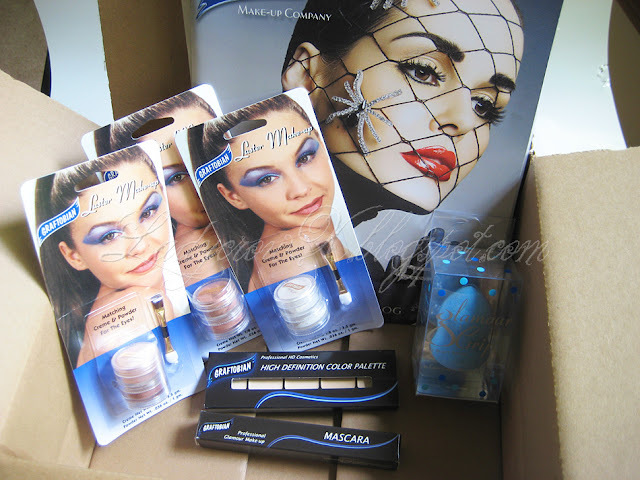 I purchased the palette as well as the sponge, the other things were sent as extras for review purposes.